Adult Swim has released a new featurette about the music in Samurai Jack’s upcoming fifth season, and it’s packed with a good chunk of new footage from the show. 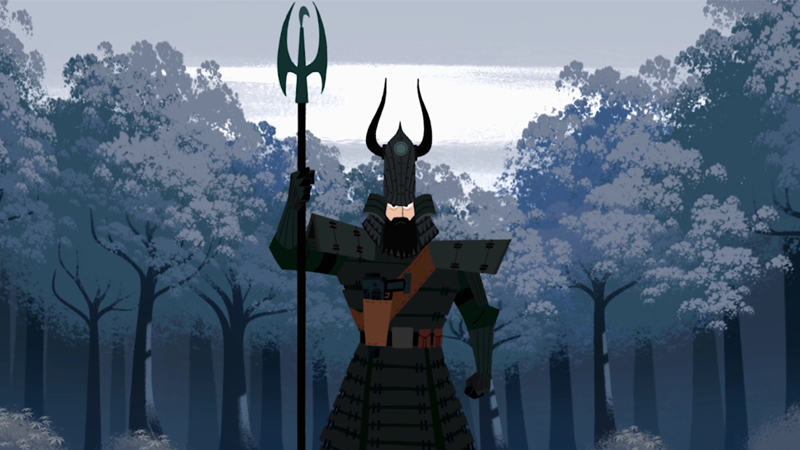 That’s not the best part, though—the best part is creator Genndy Tartakovsky, who’s so excited about Jack’s return he provides his own vocalized soundtrack for the footage. The newly released six-minute featurette features Tartakovsky and Jack composer Tyler Bates—who previously worked with Tartakovsky on his excellent but short-lived animated mecha series Sym-Bionic Titan—discussing their approach to the soundtrack for the long-awaited fifth season. The new footage include clips of Jack in his heavy armor fighting creatures and the mysterious assassins from the trailer, as well as more action of him on his totally rad new motorbike. But the really joyous thing is getting to see just how gosh-darn pumped Tartakovsky is during the process of making this show, as he eagerly musically narrates footage to Bates to describe how he wants the soundtrack to flow over a particular sequence. I almost want there to be an alternate track for every episode of season five that’s just Tartakovsky’s original beatboxed music to accompany the awesome soundtrack we’re getting. 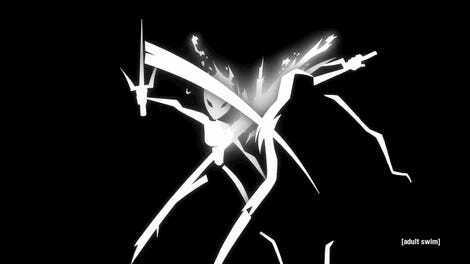 Samurai Jack is back March 11.